The new Mazda 3 is the third incarnation of Mazda’s Skyactiv philosophy. 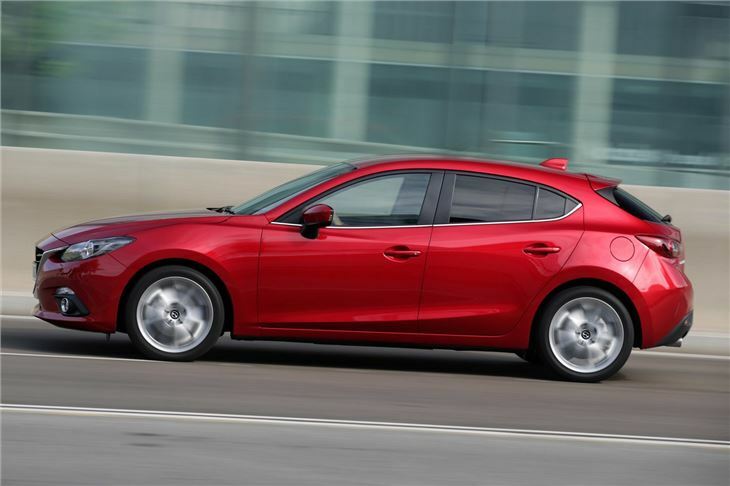 Instead of adopting hybrid technology to improve fuel economy and reduce CO2, Mazda has chosen to make its internal combustion engines more efficient. So we have low compression diesels with exhaust manifolds in their cylinder heads so they heat up faster, emit less soot and comply with EU6 regulations without the need for an expensive additive additive. 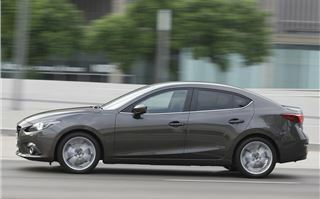 I’ve been driving a Mazda 6 Skyactiv for 10,000 miles and can attest how well this works. 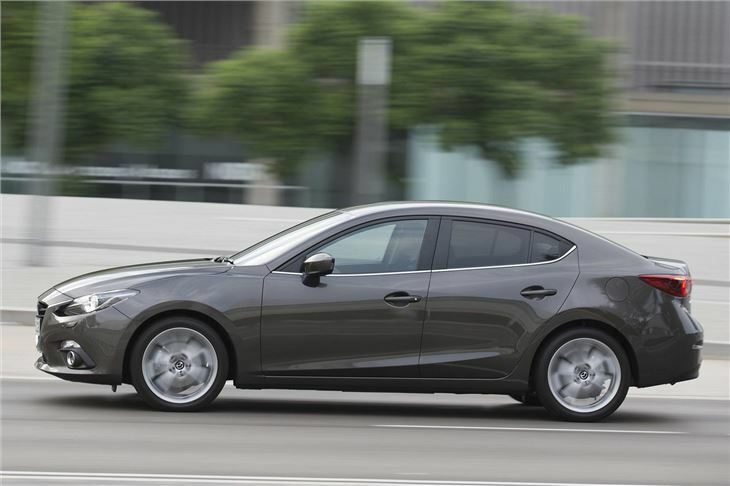 Skyactiv petrol engines have very high compression ratios and instead of being downsized and turbocharged they are 2.0 litre naturally aspirated, yet still achieve a low 119g/km CO2. 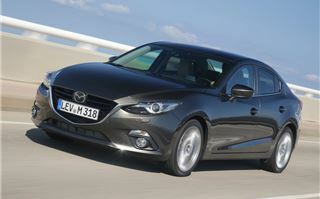 But Skyactiv isn’t all that Mazda and the new Mazda 3 are about. 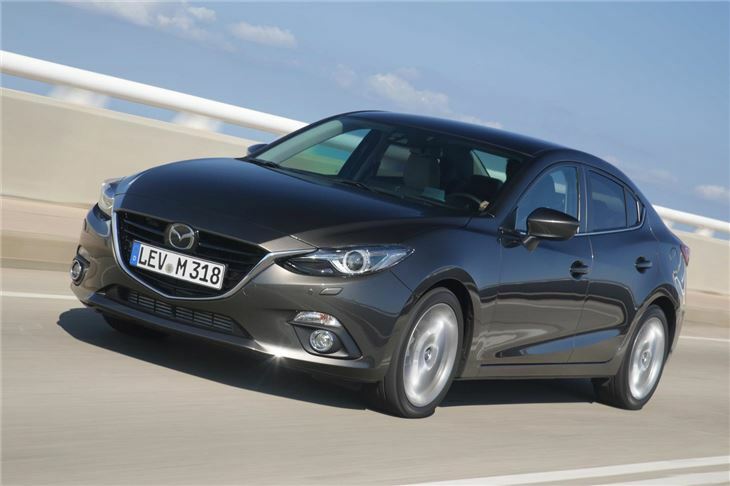 Mazda is staffed by enthusiasts and fundamentally makes drivers cars where every single aspect has been though about and re-thought until judged to be right by the engineers and designers rather than the company accountants. 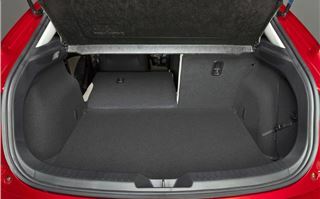 I get this in my Mazda 6. Everything feels right. The switchgear. The way the car drives and handles. The way everything from the stop-start to the automatic gearshift actually works. 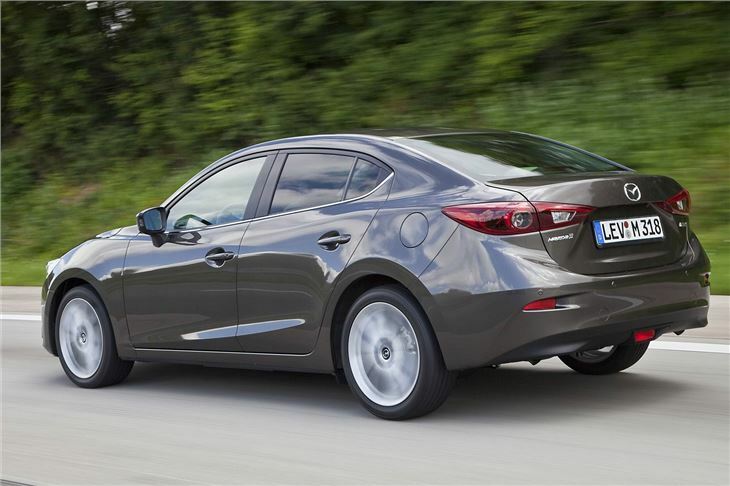 Mazda calls this ‘Jinba Ittai.’ A harmony between man and machine. A feeling that a car should respond to its driver in the same way as a horse to its rider. 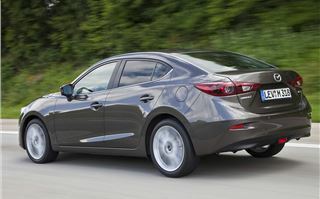 In the new Mazda 3 they have take this a small step further. A new control screen is ergonomically designed so the driver can operate it intuitively without taking his eyes from the road. The car handles very well without compromising ride comfort. Equipment levels are very high with, no base spec base model. 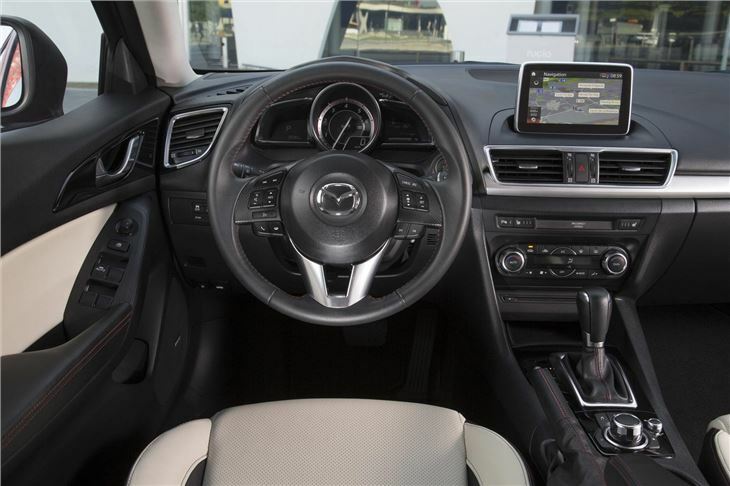 Mazda 3 models start at SE level with leather steering wheel, tyre pressure monitoring system, etc etc. They all have ‘smart city brake support’ using a camera and radar system to slow the car from high speed if an object is detected in front, and to stop the car entirely at low city speeds. 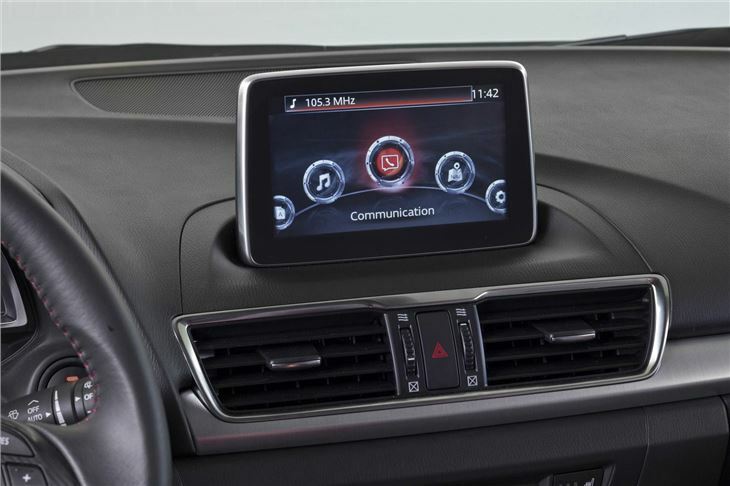 Specify one of the ‘Nav’ versions, which you should, because they only cost £600 more and the system warns you of the prevailing speed limit from observation of the limit signs rather than from its navigation mapping. 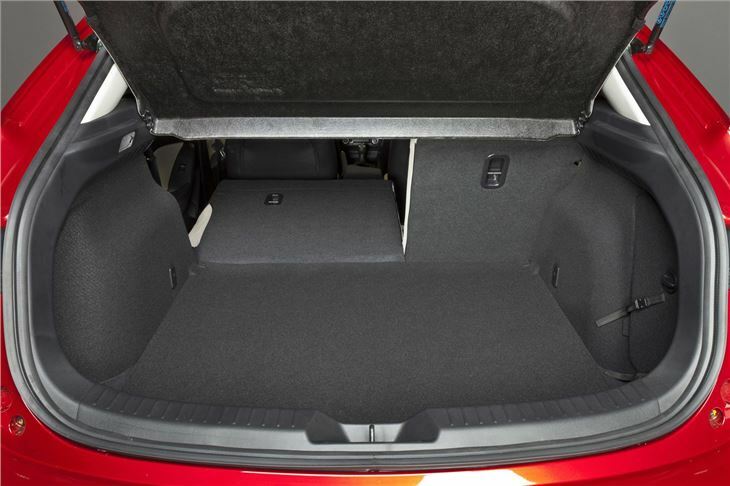 (You can get also this kit in a Focus, Astra or Golf, but not in a cee’d or i30). 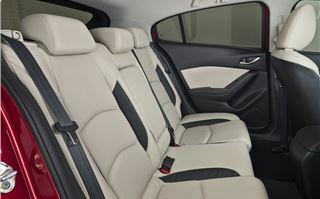 We drove a 120PS 2.0 petrol fastback manual saloon, a 120PS petrol fastback automatic, and a 165PS 2.0 petrol Sport hatchback. The 120s were SE-Nav and SEL-Nav spec and came on 16” alloy wheels with 205/60 R16 tyres. The 165 Sport was on 18s with 215/45 R18 tyres. All gripped and handled very decently, but the Sport hung on exceptionally well. 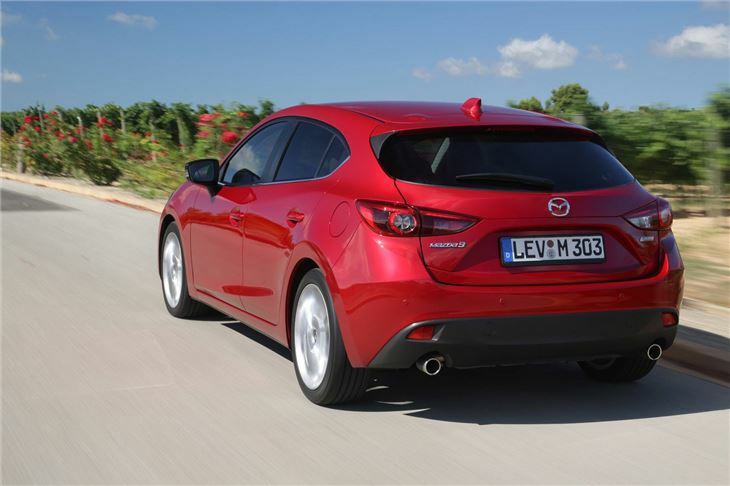 Unlike a Golf, Leon, Octavia or Civic, all Mazda 3s have proper multilink fully independent rear suspension. The roads we drove in Spain were smooth surfaced, so we couldn’t assess what would happen in the event of a typical British mid corner pothole. But body control over crests and through dips was excellent. And the car rode the inevitable speed humps n towns and villages very well. The 165 didn’t like high revs much. It was at its best between 2,000 and 5,000rpm. The 120 was very smooth yet felt just a tad strangled for a 2.0 litre, particularly at high altitude in the mountains, but that’s how it emits just 119g/km CO2. You get a different dash on the 165 Sport. 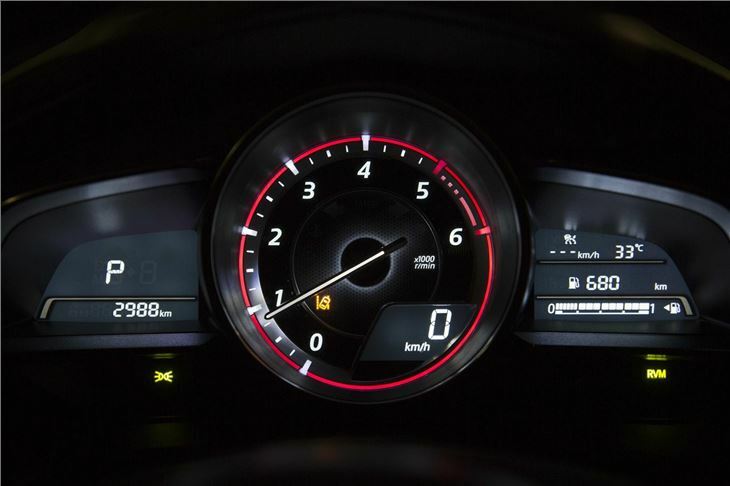 The central circular speedo becomes a rev counter, with a digital speed readout and a gearshift indicator where the small rev counter would have been on lesser versions. 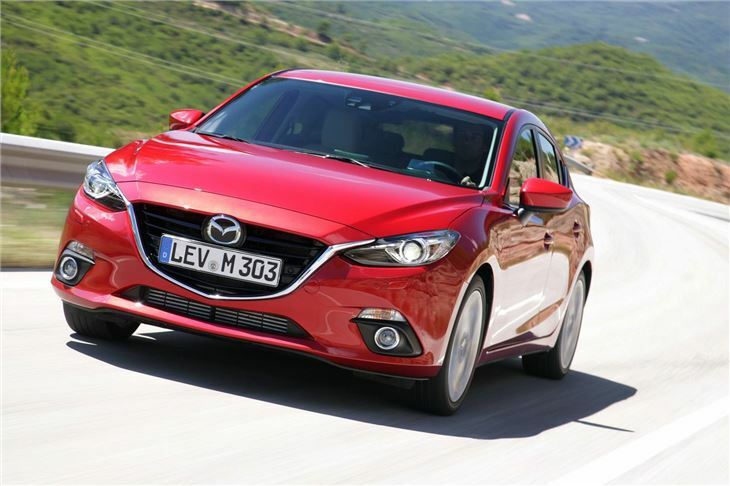 Carbuyers looking at family saloons and hatchbacks in the Mazda 3’s price category are now faced with going down to a 1.0 litre or 1.2 or 1.4 turbo, or sticking with a 1.8 in the Civic or the 2.0 litre in the Mazda 3. Downsizing inevitably brings lower CO2 in the EC tests, so less annual tax. 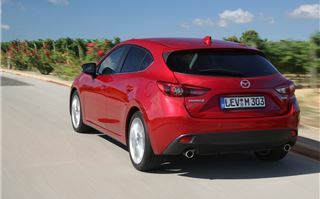 But in the real world the 1.8s and 2.0 litres deliver a more satisfying drive with better fuel economy. Add to that the impressive specification levels of the Mazda 3, and its handsome ‘Kodo’ design and I’d say it’s better compared to cars like the Audi A3 and Mercedes A Class than to the Golf and the Focus. So it’s not just impressive. It’s an excellent buy.